The Strapack i-10 Strapacker combines two new DC motors into a completely new standard for fastening machines. The Strapack i-10 is the world's first semi-automatic semi-automatic strapping machine (PP). The machine is also equipped with a control processor that improves the work and controls the smooth tension of polypropylene strips (2 to 50kg). 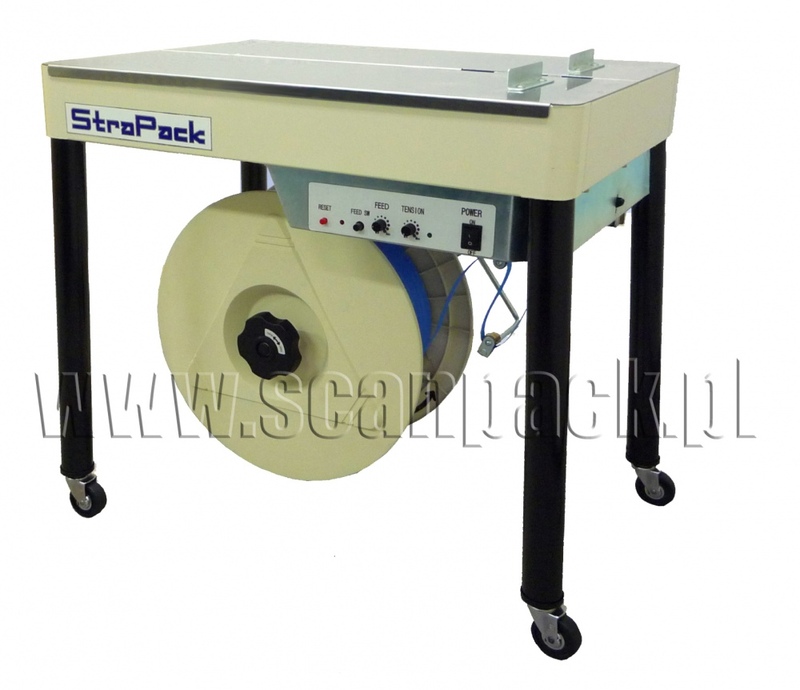 The Strapack i-10 is ideal for parquet, wood and cable parcels, bulk packaging in cartons, promotional kits in shopping malls, office binders and documents, and many other types of products . Thanks to the fast-heating heater, the machine is ready to work in 30s. Loading a new tape is done at the push of a button. Belts with a width of 5 d 15.5 mm can be used. The machine is light and, thanks to its placement on wheels, it can be moved to a selected work position. Strapack i-10 Strapack is also quiet and economical, with low power consumption.